To wrap up the season of Loose Rounds, Adin and Angry Staff Officer ventured to Washington, DC and the Association of the United States Army's annual conference. There, they held a live show, brought together by Nammo, which covers everything from what a trade show might've looked like before the Battle of Crecy to how the podcast came into being. www.warstoriescast.com/loose-rounds. . .
What's the simplest item that's changed the shape of warfare? The bullet? The boot? How about the humble wheel? In this episode of Loose Rounds, Adin and Angry Staff Officer trace the development of the wheel throughout history, and how it's shaped how wars are fought on and off the battlefield. www.warstoriescast.com. . .
For nearly as long as people have been fighting, they've had ships to take them to the fight, or to use as weapons of war themselves. From the coracle to the trireme to the battleship, has there been an overall arc toward the perfect naval vessel? www.warstoriescast.com/looserounds. . .
Before compasses, sextants, and the telescope, there was the map. They were simple things to begin with. Then they became essential, allowing explorers and conquerors to leave their home lands for far off destinations. Then they became something even more. www.warstoriescast.com Become a War Stories supporter on Patreon. . .
Members of the military oftentimes talk about how little they need to get by. Without the creature comforts the everyday person may come to expect. But there's one thing they've needed from the first days we fought wars. Food. In this episode of Loose Rounds, Angry Staff Officer and Adin take a look at the history of eating in the field and whether there's a higher purpose to field rations than jamming it full of calories, protein, and vitamins. www.warstoriescast.com. . .
Until someone invents a solution to time travel, distance on the battlefield will define how wars are fought. Communications have attempted to solve for this problem since wars first began: first with runners, up to the present day with radio communications. But how much have things really changed over those thousands of years? Angry Staff Officer and Adin take a look. www.warstoriescast.com. . . Amateurs talk tactics, professionals talk logistics. Right? In the third episode of the series, Adin and Staffer discuss the incorporation of logistics into professional militaries and how, in some ways, logistics helped bring about an international trading system. www.warstoriescast.com. . .
What's the quality that defines a sniper? Is it the pulling of the trigger? The skilled stalking of their target in the hours or days prior to making a shot? The mathematical and physics-based knowledge that prevents them from making an error? In our season finale, we look at the future of the sniper and whether the mythos they've cultivated over the centuries can withstand scopes that aim for them, guns that can fire thousands of yards, and robots that do what they do, only better. www.warstoriescast.com Become a War Stories supporter on Patreon. . .
For something so central to our lives, the role of blood wasn't something we could explain for much of our history. We knew it was important, and when someone was bleeding out on the battlefield, you needed to fix them, but just how you would go about doing that was a source of constant trial and error. In the second Loose Rounds discussion, Adin and Angry Staff Officer look at how blood transfusions came into being on the battlefield and how it changed how wars were fought. War Stories Loose Rounds. . . In the Vietnam War, snipers returned to some of their earliest environmental roots while simultaneously reaching the pinnacle of their development: taking part in long missions, independently, where high value targets were taken out. Carlos Hathcock, a Marine from Arkansas, would grow to become one of the best of them. www.warstoriescast.com Become a War Stories support on Patreon. . . In our first episode of Loose Rounds, a mini-series produced in partnership with Nammo, we discuss the humble mortar. You know, the tubes that fire grenade-looking munitions into the air? It turns out they have a far deeper and wider history than you might've expected. We trace that path and all the ingenious things people have done with them in the meantime. Loose Rounds show page. . .
On War Stories, we often focus on what’s happening at the proverbial tip of the spear: the latest and greatest, at least for the time, weapons platforms, how militaries shifted their fighting styles to accommodate these technologies, and what it felt like to use these on the frontlines of the battlefield. After all, those weapons are what gets top billing when we talk about the most interesting parts of warfare. What we sometimes miss are all the bits and pieces that make those weapons effective: camouflage patterns in clothing that allow soldiers to hide in their environments, infrared glint tape that helps designate friend from foe to aircraft up above a battlefield, shipping containers that changed the way militaries could move, to only name a few. In each episode of Loose Rounds, the War Stories team takes a look at one of these underrated technologies and traces its importance throughout history. Learn more about the show. . .
By the time Lyudmila Pavlichenko joined the rest of her peers at the International Student Assembly at American University in Washington, DC, much of the country knew her name. As well as the Nazis who despised her for the deadly aim she took with her rifle. www.warstoriescast.com Become at War Stories supporter on Patreon. . . When the Soviet Union invaded Finland in late 1939—the action that kicked off the Winter War—they expected an easy fight, if there was one at all. Instead, they found a military with an intimate knowledge of Finland's terrain, and one that was willing to fight. Among them was a man who very nearly became one with the freezing environment in an effort to take a stand against the invading nation. www.warstoriescast.com Become a War Stories supporter on Patreon. . .
We know World War I for a number of things: trenches, poison gas, the ever-present thrum of artillery. But it also served as the birthplace of the sniper. And one of the best couldn't be found on the Western, or even Eastern Front. Instead, Billy Sing fought on the shores of Gallipoli.. . .
On a scraggly hill in Pennsylvania, a unit of sharpshooters took part in some of the most fierce, if not frequently discussed, fighting of Gettysburg. Many only know them from the accessories riding atop their heads: bucktails. www.warstoriescast.com Become a War Stories supporter on Patreon. . . While Napoleon swept through Europe, the rifle took up a central location on the battlefield with the 95th Rifles of the British Army. The impact of their weapon would reach far and wide beyond technological platforms. www.warstoriescast.com Become a War Stories supporter on Patreon. . .
From the time of the French and Indian War, Daniel Morgan had a bone to pick with the British Army. Over the following decades, he and the riflemen he led would do their best to even the score. www.warstoriescast.com Become a War Stories supporter on Patreon. . .
After hearing the news about the discovery of the Indianapolis wreck, we thought we should unlock this Patreon episode that we recorded over the course of the summer. Make sure you sign up if you'd like more of them hitting your download queue in the future! www.warstoriescast.com Become a War Stories supporter on Patreon. . .
What is it that makes a good marksman? Is it their training? Their weapon? Maybe they’re just born that way, or raised with a rifle in their hands. In our Season Two premiere, we take a look at the shift to the modern rifle and the individuals who sometimes had the power to change the course of an entire battle with their weapon. www.warstoriescast.com Become a War Stories supporter on Patreon. . .
Next week, Season Two of War Stories launches, but for those of you who can't wait to figure out the subject we're covering, we've got a shot trailer for you. Enjoy. www.warstoriescast.com Become a War Stories supporter on Patreon. . . While the world watched Cuba as it became a potential nuclear missile launch site, another threat lay off the east coast in the Sargasso Sea. Four Soviet submarines waited for the outbreak of hostilities, and each carried the power to start World War III. www.warstoriescast.com Become a War Stories supporter on Patreon. . . In our second interseason episode, Angry Staff Officer and Adin look at the tragic decline of armor in the Star Wars universe and explore why it might have occurred. www.warstoriescast.com Become a War Stories supporter on Patreon. . . In the first of our interseason episodes, Adin tells the story of the encrypted messages received by the United States on the 13th and 14th of April 1943 and arguably the most important decapitation mission of history that followed. www.warstoriescast.com Become a War Stories supporter on Patreon. . .
Over the past seven episodes, we've traced the development of armored warfare through the end of traditional, horse-driven cavalry to the armored warfare of Desert Storm. But as military planners and politicians face asymmetric threats and limited conflicts around the globe, how should we look at the role of tanks? War Stories end of season survey www.warstoriescast.com Become a War Stories supporter on Patreon. . . The battles of 73 Easting, Medina Ridge, and Norfolk. Were they the pinnacle of the near century of tank warfare we've covered in season one, or the last gasp? 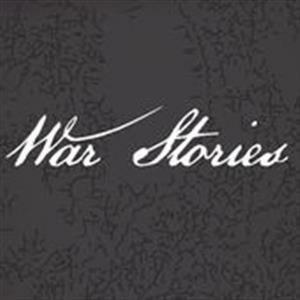 www.warstoriescast.com Become a supporter of War Stories on Patreon. . . The Israeli Defense Forces (IDF) of the 1970s emphasized a number of qualities: proactive leadership, heroism, and a recognition of the young life of their country that rose in the wake of great tragedy. These qualities weren't just given lip service, but imbued within enlisted service members and officers of all levels. So when their country was under attack in late 1973, it should come as no surprise that Zvi Greengold and the men of Task Force Zvika rode under those banners, even with a task force that was only four tanks strong. www.warstoriescast.com Become a War Stories supporter on Patreon. . .
Nazi Germany fielded a military with many components designed to amaze as much as to destroy. While this philosophy meant that many designs never left the drawing board, one that did was the Tiger Tank—a relatively beastly model whose gun could rip through nearly every form of enemy armor before the ill-fated tank even had a chance to strike. The units comprised of these Tigers, heavy panzer battalions, saw some of their fiercest combat on the most treacherous of battlefields—the eastern front. www.warstoriescast.com Become a War Stories supporter on Patreon. . . The 601st Tank Destroyer Battalion, the first of its kind, was stood up in 1941. The theory governing their use had yet to be tested on the field of battle. In November of the following year, Lieutenant Colonel Hershel Baker and the men of the 601st found themselves on the Queen Mary departing for that ultimate of testing grounds. Only a few months later, they found themselves along Gabès Road in Tunisia with the 10th Panzer Division bearing down upon them. www.warstoriescast.com Become a War Stories supporter on Patreon. . .
Well before the threat of World War II entered societies' collective minds, smaller regional conflicts gradually simmered away across Europe. One of these, the Spanish Civil War, might not have drawn much notice from leaders in the United States, but the same could not be said for those who ruled Germany and the Soviet Union. In it, they found the perfect testing ground for the future weapons that would come to define the 1940s and much of our world to this day. www.warstoriescast.com Become a War Stories supporter on Patreon. . .
Near the end of 1917, a young captain by the name of George S. Patton received orders from the chief of the newly created U.S. Tank Corps, Colonel Samuel Rockenbach. His task was to launch the light tank school of the U.S. Army. However, it wasn't long before he had to take his lessons from the classroom and test them on the battlefield of the Saint-Mihiel Salient. www.warstoriescast.com Become a War Stories supporter on Patreon. . . In Northern France on July 14th, 1916, a cavalry unit from Hyderabad made what most consider to be the final cavalry charge of World War I before the invention of tanks. The unit, Deccan Horse, represented the last gasp of the old way of battle — a way upended by the grinding slog of the Great War. This is their story.. . .